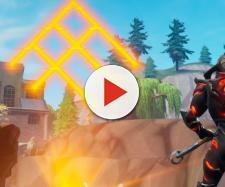 Epic Games announced Playground limited-time game mode a few weeks ago, and they recently updated players on it. Epic Games released State of Development V2 blog post about "Fortnite Battle Royale" on May 24. 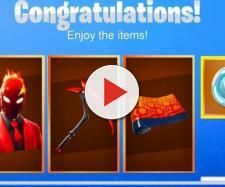 The game developer revealed some information regarding the game and its upcoming modes, and one thing that got more attention than anything else was the Playground limited-time game mode. According to the developer, this will be the first creative mode in the game, and players are very excited about it. Even though this unique game mode still hasn't been released, players are eagerly waiting for it. Playground mode will allow "Fortnite Battle Royale" players to invite their friends to a lobby and play against them. In a way, it will be something like a custom game which will be limited to only four players. 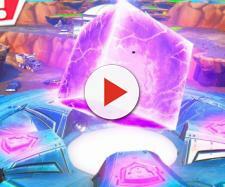 This mode will be great for those who want to play against their friends or simply practice building and fighting. "Fortnite Battle Royale" developer wrote that players would be able to "build to their heart's content with an extended period of time to roam around the map" in the Playground mode. Additionally, resource generation will be increased and all treasure chests and ammo boxes will be spawned, allowing players to have a great loadout and plenty of resources before engaging in a fight. The best thing about the mode is the fact that players will respawn after getting eliminated, giving players a completely new experience in this battle royale game. On June 4, Reddit user gameguru2018 asked Epic Games for an update on this unique limited-time game mode. JShredz, one of the developers on the game subreddit, answered the question, saying that the team is still actively working on this mode. "Still actively working on it, there are some significant necessary back-end improvements we're working towards," posted the developer. The biggest problem Epic Games is facing is the server performance. Allowing players to create multiple four-player lobbies would put a lot more pressure on the servers, which would cause a lot of issues with the game. On average, there would be around 25 times more instances than in regular modes, and that is something the servers are not ready for yet. JShredz made it clear that the Playground mode is not currently possible to be played offline since the game relies on server-client interactions. Because of this, the development team will first have to optimize servers before releasing the mode.